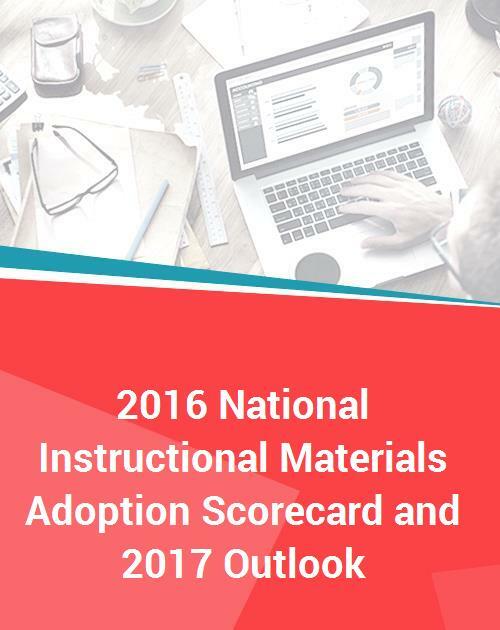 The 2016 National Instructional Materials Adoption Scorecard and 2017 Outlook focuses on results of instructional materials adoptions in K-12 science in four states in 2016: Alabama, North Carolina, South Carolina and West Virginia. The report provides individual analysis of each of the five adoptions with sales broken down by publisher by grade segments. In addition, the report includes the annual publisher scorecard, a reflection of how each publisher did in the adoptions covered.